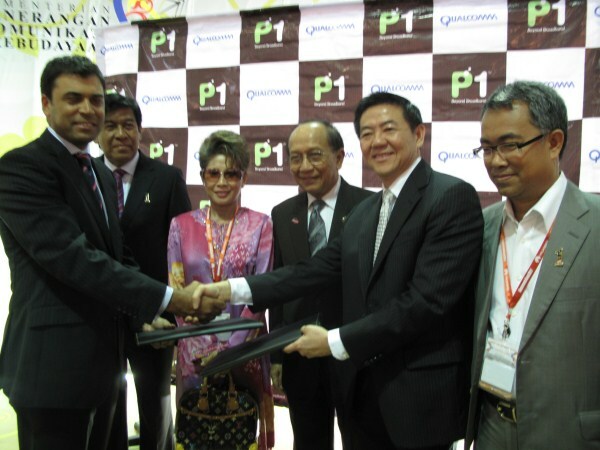 Alcatel-Lucent and Maxis Communications Berhad, have signed an agreement to conduct a WiMAX trial of a Universal 802.16e–2005 WiMAX solution. The field trial is touted as an important step towards offering commercial services and satisfying growing demand for wireless broadband access, especially in residential areas in Malaysia. Maxis’ head of products and new businesses Dr. Nikolai Dobberstein said, “Alcatel-Lucent is a leader in WiMAX technology and Maxis is particularly impressed with the effective time-to-market strategy that Alcatel-Lucent has adopted. Alcatel-Lucent’s president of mobile activities, Marc Rouanne said the joint WiMAX 802.16e Alcatel-Lucent and Maxis field trial will result in an even closer collaboration between the two companies. “Alcatel-Lucent has made the early necessary investments in R&D to succeed and these are now paying off,” he added.WiMAX is a broadband wireless access technology that enables connectivity through wireless networks for fixed, nomadic or mobile use, in urban, suburban and rural areas.